The Nexus brand has been around for nearly seven years now. As technology matured, the Nexus phones demonstrated consistent improvement from one generation to the next; however, the brand’s inconsistency resulted in a series of seemingly one-off devices rather than a cohesive family. Screen size steadily increased from the original Nexus One’s 3.7-inches to 5.96-inches on the Nexus 6, which was then followed by two smaller-screened models the next year—the 5.2-inch Nexus 5X and 5.7-inch Nexus 6P. Price too has fluctuated over the years: After the Nexus One launched at $529, subsequent models jumped back and forth between the midrange and flagship categories, with launch prices dropping as low as $299 and reaching up to $699. Even the naming convention has varied: one phone used letters (Nexus S), one used numbers in letter form (Nexus One), some used numbers that roughly correlated with screen size, some used numbers and letters (Nexus 5X and 6P), and there was even a Galaxy thrown in. The one feature shared by all Nexus devices, the one that sets them apart from all other Android phones, is the software—a pure Google experience that’s free from OEM and carrier bloatware with access to timely software and security updates directly from Google. 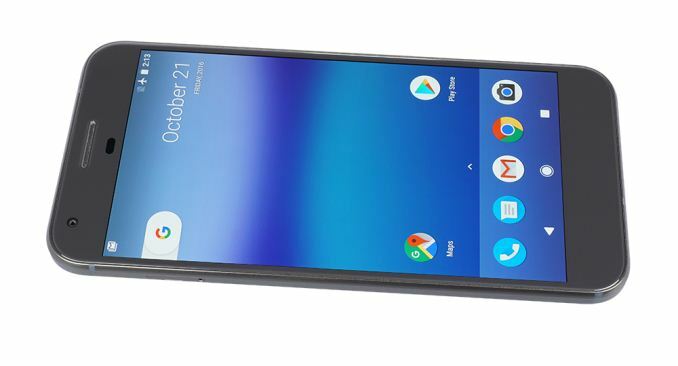 The fact that Google, predominantly a software and services company, needs to commission its own line of phones to showcase Android’s latest features speaks to the fractured nature of the Android ecosystem and the sorry state of software support among OEMs and carriers. Even a year after its release, only 19% of devices are running Android 6 and less than 1% are running Android 7, which was released nearly three months ago. This means that 80% of all Android devices are running an operating system that’s at least two major versions old, according to Google. 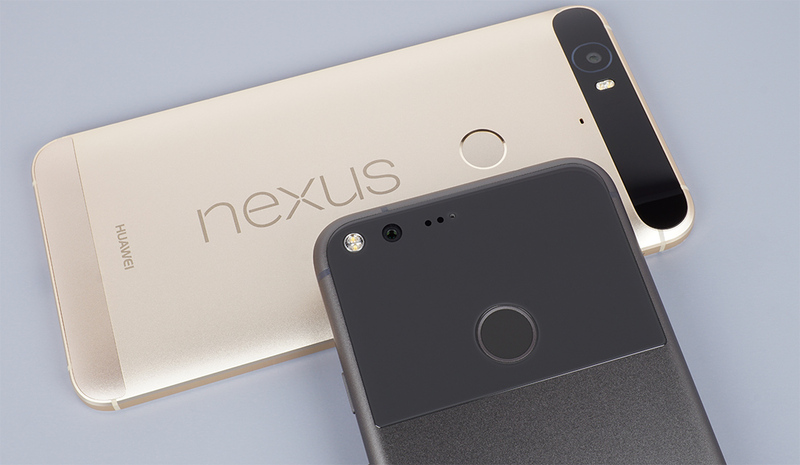 Google’s latest phones, the Pixel and Pixel XL, still provide that pure Android experience along with at least two years of timely software and security updates, but the new branding is about more than clearing away the Nexus naming clutter. Google is now asserting more control over hardware development, ostensibly to deliver a more cohesive, premium experience centered around artificial intelligence (AI) and Google’s ever-expanding Knowledge Graph, a semantic-search system that catalogs objects and the many connections between them. The new Google Assistant, an integral part of the Pixel experience, serves as a gateway, allowing you to query this treasure trove of data using natural voice commands and contextual queues from the environment. Google is also pushing for a more unified VR experience with new features in Android 7 and its Daydream View VR headset and controller that works with Daydream-ready phones like the Pixel and Pixel XL. Because of its steep hardware requirements—accurate sensors for head tracking, high-resolution displays, powerful processors—VR will be limited to flagship phones initially. Google’s Pixel branding may also be seen as a shot across the bow by its Android partners, who rely on an impartial Google to provide them with an operating system and an equal opportunity to compete in the hardware market. The last time Google tried building and selling its own hardware running its own operating system, which occurred several years ago during its ill-fated acquisition of Motorola Mobility, Samsung almost jumped ship, threatening to use the Tizen mobile operating system instead. Google clamped down and persuaded Samsung to stay with Android, and after it sold its Motorola unit to Lenovo, the waves subsided. In the years since, Google has placed further restrictions on what its partners can do with Android, and now that it’s getting back into the hardware business in a roundabout manner, selling phones that directly compete with its partner’s products, competitive tempers could flare once again. Powering the Pixel’s VR and machine learning experiences is Qualcomm’s Snapdragon 821 SoC. The biggest difference between the 821 and the Snapdragon 820 that powers most of the flagship devices released earlier in the year are higher peak frequencies for the CPUs and GPU. However, the Pixel’s four Kryo CPU cores and Adreno 530 GPU use the same peak frequencies as the Snapdragon 820, negating the 821’s performance boost. 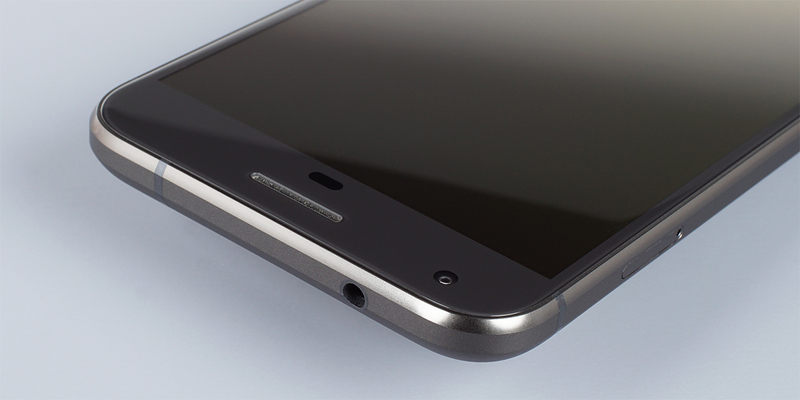 The Snapdragon 821 SoC is backed by 4GB of LPDDR4 RAM, which should prove sufficient for heavy multitasking. The Pixels come with either 32GB or 128GB of UFS 2.0 NAND, and like the Nexus phones before them, there’s no microSD card support for storage expansion. Instead, Google expects Pixel owners to leverage its cloud storage and is offering unlimited backups for photos and videos. This should help alleviate at least some storage pressure when paired with Android’s Smart Storage feature, which automatically removes photos and videos that have been backed up, although the stock phone's 32GB of internal storage may still prove inadequate, especially for people who want to watch videos offline. For those users who do need more space, Google offers 128GB models as a premium option. The Pixels’ wireless capabilities are equal to other premium flagships, including dual spatial stream 802.11a/b/g/n/ac Wi-Fi (2.4GHz and 5GHz), Bluetooth 4.2, and NFC for use with Android Pay. There’s also a Qualcomm X12 LTE baseband processor integrated into the Snapdragon 821 SoC that supports speeds of up to 600 Mbps on the downlink (3x20MHz carrier aggregation with 256-QAM) and 75 Mbps on the uplink (1x20MHz with 64-QAM). Rounding out the cellular hardware chain are a pair of Qualcomm RF transceivers, which work together to enable 3x carrier aggregation, and a Qualcomm QFE2550 dynamic antenna matching tuner, the principal piece that enables Qualcomm’s TruSignal Antenna Boost technology, which works to improve reception and reduce power consumption by matching the impedance between the antennas and the RF front end. The Avago and Skyworks power amplifiers include envelope tracking, which saves power by adjusting the power supply to better match the requirements of the output signal. Google’s Pixel phones come with an impressive list of internal hardware, but it’s not enough to guarantee a premium experience. Hardware calibration, software tuning, and industrial design also play important roles in shaping our overall perception of how a device performs, and this is where Google’s more hands-on approach could pay dividends. Now it’s time to take a closer look at the Pixel XL and determine if it’s really the ultimate Android phone. I agree. Had Google price it as an average phone (around 400 dollars), then there would be a higher uptake for people to use the phone and ultimately stick with using Android. I guess is because they feel they are in the same league as Apple and want to compete at their level. Nothing wrong with that but just deliver a quality well-designed phone. In an attempt to your post useful in some way, does this phone support YouTube's new HDR playback? Or is the display chain locked to SDR?